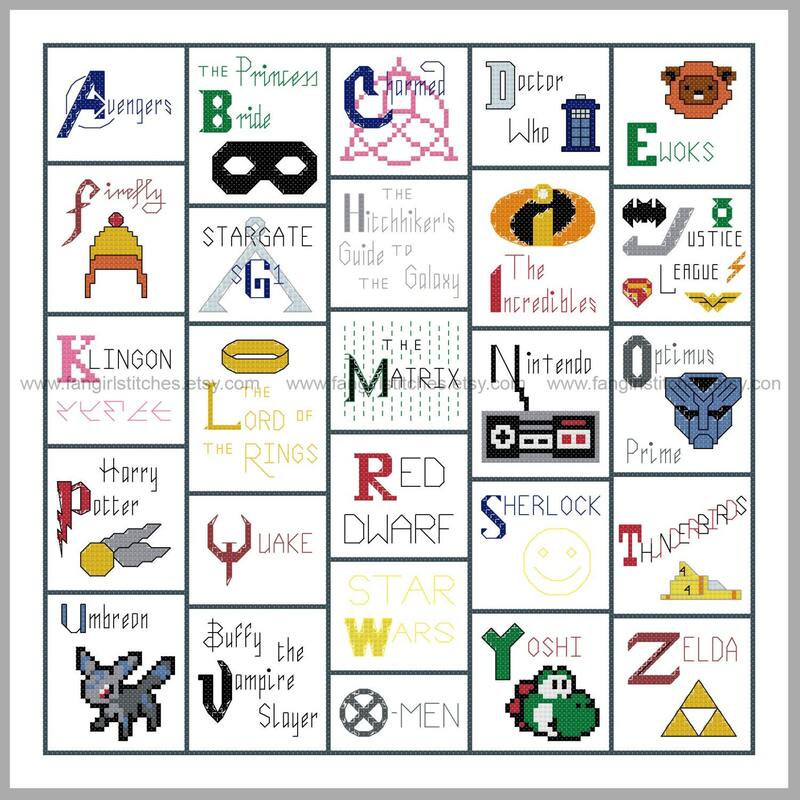 Let your inner Geek free with this Alphabet Cross Stitch pattern featuring all that is wonderful in the worlds of fandom, fangirls, nerds and geeks. Stitch it for your library, a child's bedroom, your media or TV room, or turn it into a cushion to decorate your lounge room. This design includes whole stitch, half-stitch, backstitch, and french knots, and is suitable for beginner stitchers wanting to stretch their skills. 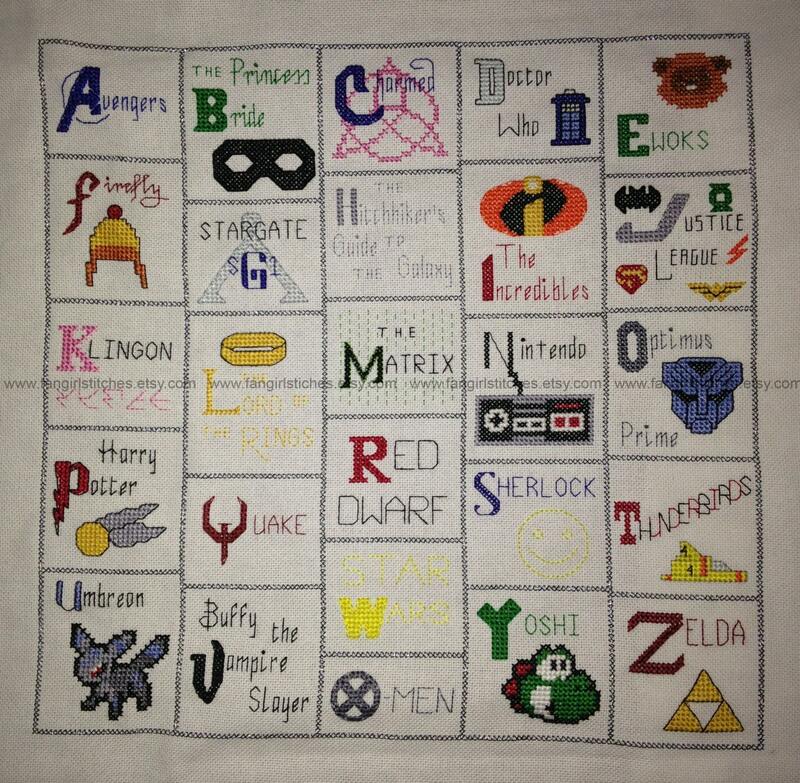 This will be a great gift for my geeky daughter. Making this into an alphabet-bordered blanket for my nephew. Easy-to-follow pattern and thread information. Can't wait to finish this project!